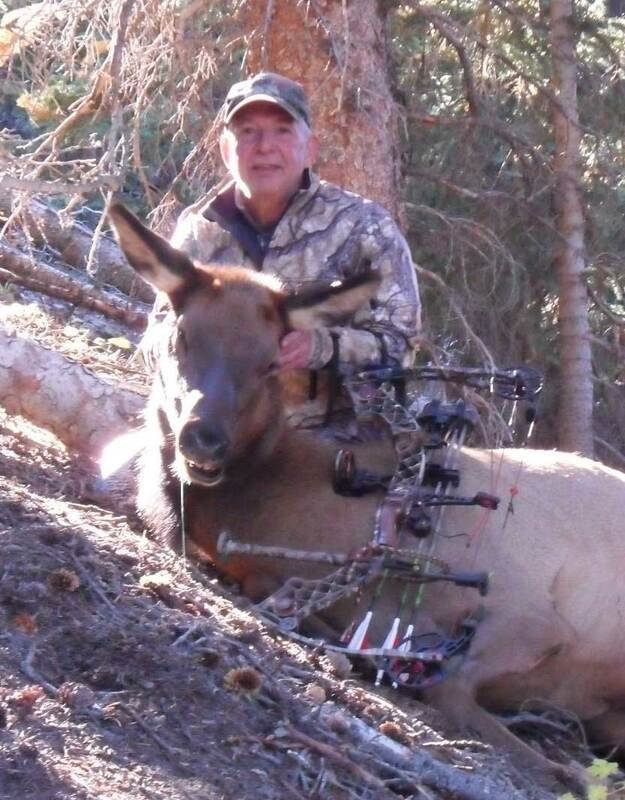 I’ve archery hunted elk four other times, in Wyoming, New Mexico and Colorado. This was my first hunt with Action Adventures and by far my best hunt ever. I hunted the last week of archery season and the weather couldn’t have been better, it was almost too nice for hunting, cool in the mornings with some ice in the creeks and sunny and warm by mid morning. The quantity and quality of the elk was more than I expected. Justin had me into elk on the first morning. Chasing bugling bulls everyday, it was very exciting and quite an adventure. I was fortunate enough to harvest a cow on the forth morning of the hunt, we were into a herd with several bulls and cows. Justin had me in great position, I didn’t make the best shot, but the cow didn’t go too far. This was my second elk with a bow and I was very happy with the hunt and the outcome. Justin and his crew at Action Adventures do a great job. Clean camp, good riding stock, and the food was excellent. I would highly recommend Action Adventures to anyone wanting a true wilderness experience, tough hunting but very rewarding, beautiful country. Thanks to Justin and his crew, Ethan, John, Sam and Mike. It was a great hunt, a lot of good memories, I hope I can do it again.